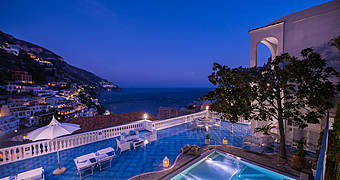 The Le Sirenuse is a prestigious luxury hotel in an 18th century villa located in one of the most desirable hillside vantage points overlooking the beach in Positano. 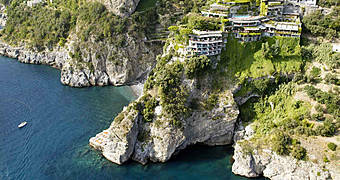 Il San Pietro is a world-class luxury hotel built on the jagged cliffs of Italy's spectacular Amalfi Coast. 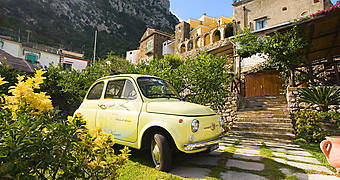 A gourmet getaway at Relais Don Alfonso 1890 in Sant'Agata sui Due Golfi, home of the Iaccarino family, guardians of authentic Mediterranean haute cuisine. 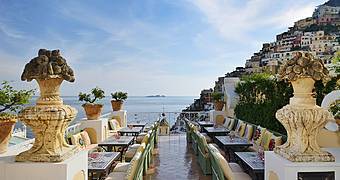 Once a jumble of fishermen's houses on Positano's spiaggia grande, the Covo dei Saraceni is now a five star hotel where guests live an Amalfi Coast dream. 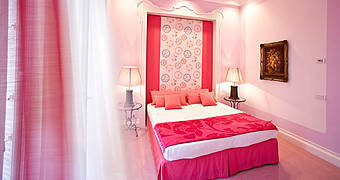 A stylish coastal retreat, Casa Angelina offers faultless contemporary luxury in the heart of the Amalfi Coast. 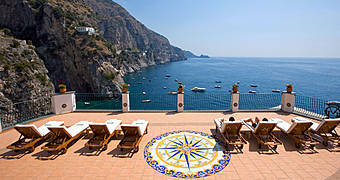 Perched on the cliffs of Positano, overlooking the bay of Fornillo, Hotel Le Agavi is one the finest 5 star establishments on the whole of the Amalfi Coast. 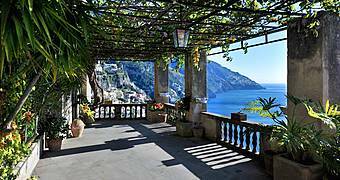 Positano's Villa Oliviero stands on a rocky ridge, surrounded by some of the most beautiful scenery in the world. 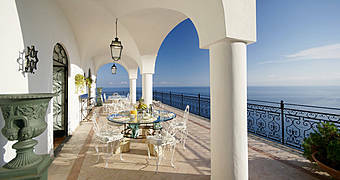 Art, sea, Amalfi Coast: the magic of Villa Lighea. 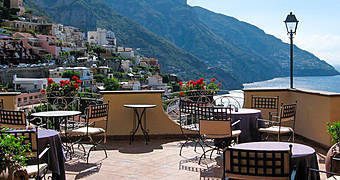 A luxury villa at Positano's highest point: Villa Magia is an 18th century residence now a boutique hotel. 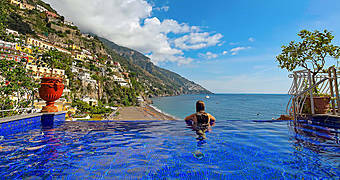 Villa Mon Repos is a luxury villa overlooking Positano with six double bedrooms, living rooms, panoramic terraces, a pool, hot tub, and spa for a truly unforgettable stay on Italy's Amalfi Coast. 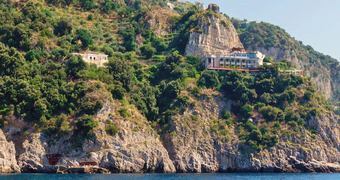 An ancient episcopal residence turned into a luxury villa, that overlooks Positano from a high cliffs surrounded by the blue sky and the sea. 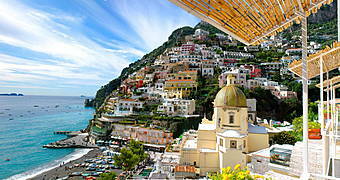 A perfect vision of mediterranean architecture resting against the cliffs of Positano. 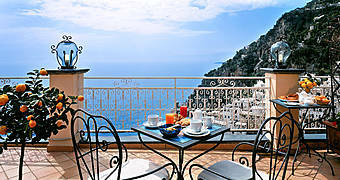 Hotel Villa Franca stands in a commanding position overlooking the enchanting and evocative landscape of Positano. 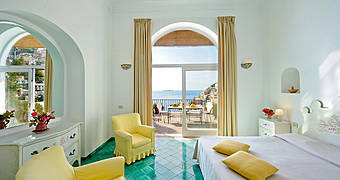 Hotel L'Ancora: your room with a view of the sea, within steps of Positano's Spiaggia Grande beach. 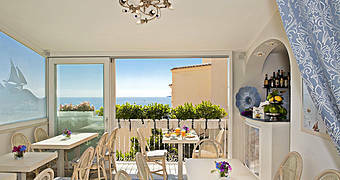 Vaulted ceilings, hand painted majolica, sun drenched terraces, citrus groves and the sea: Hotel Margherita! 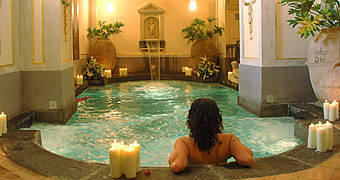 A period palazzo, light-filled rooms, and a terrace with Jacuzzi - just for you! 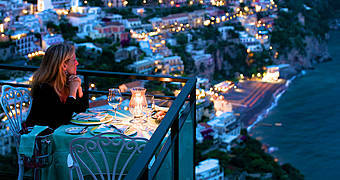 A place where to experience the infinite charm of Positano, the town which, for over a century, has inspired artists from all over the world. 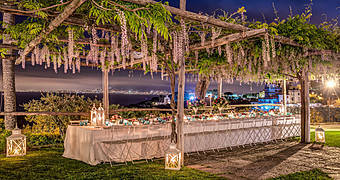 A stylish, typically Mediterranean property, Positanos Hotel Villa Gabrisa is famous for its excellent cuisine and breathtaking views of the Amalfi Coast. 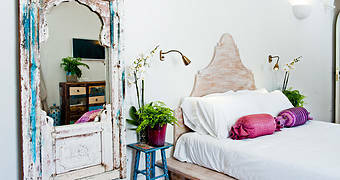 From modest tavern to charming hotel, Positano's Buca di Bacco continues to offer the same heart-felt hospitality of yesteryear. 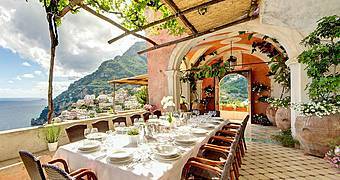 An unexpected green oasis in the heart of Positano, Amalfi Coasts legendary vertical town, Hotel Palazzo Murat is set in extensive grounds complete with botanic and kitchen gardens. 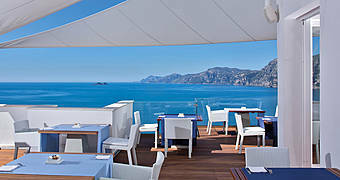 Presented with the view from the terrace of Positanos Hotel Punta Regina it is easy to understand why the Amalfi Coast is one of the world's most desirable holiday destinations. 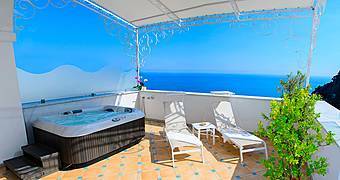 With its wonderfully panoramic position on the mountainside of Positano, Hotel Posa Posa offers the perfect introduction to the wonders of the Amalfi Coast. 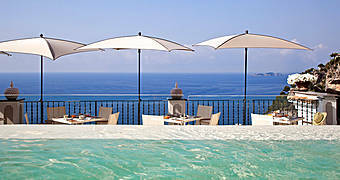 A wonderfully peaceful retreat, between Sorrento and the Amalfi Coast, Oasi Olimpia Relais is the perfect place in which to relax, enjoying the ultimate in Mediterranean luxury. 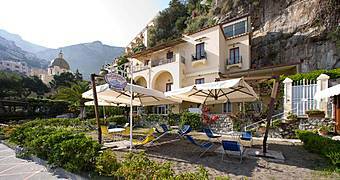 A little hotel on the beach of Marina del Cantone, in the picture-perfect fishing village of Nerano: La Certosa has "Italian summer" written all over it! 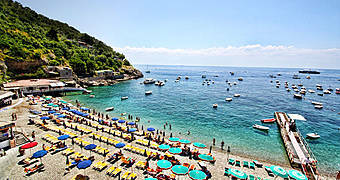 With a dream location overlooking the beach of Fornillo, Hotel Pupetto is one of Positano's best loved seaside establishments. 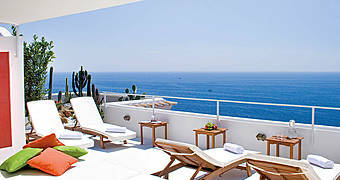 Within steps of the beach and the shimmering Mediterranean sea, dream holidays come true at Praiano's Hotel Onda Verde. 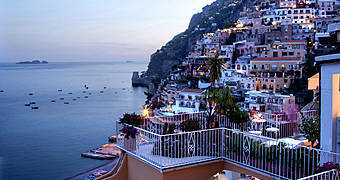 In the heart of Positano. 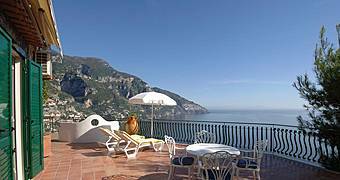 Villa Rosa is a welcoming little bed & breakfast with fabulous views of the Spiaggia Grande beach and the sea of the Amalfi Coast. 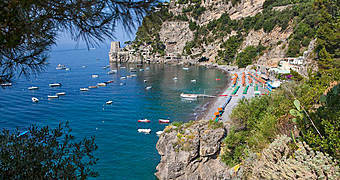 Bed & Breakfast Villa La Tartana is a beautiful Mediterranean seaside residence, overlooking the beach of Positano. 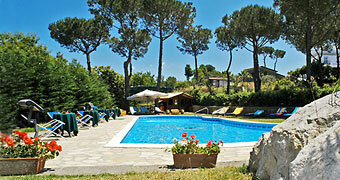 Open the window and let the beach of Spiaggia Grande in! 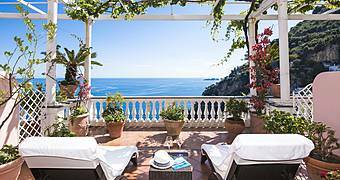 A historic seaside residence transformed into elegant apartments for a dream holiday on the Amalfi Coast: Relais Villarena, Nerano. 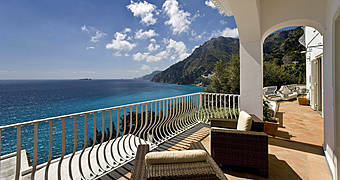 The quintessential Mediterranean coastal hideaway, complete with sun kissed terraces, a private beach and magnificent views of the sea: Villa Hibiscus, Positano.